The internet had some strong reactions to First Lady, Michelle Obama‘s attendance at Black Girls Rock!, an annual event honoring women of color. The event was held held Saturday night at the New Jersey Performing Arts Center. Honorees included, actress Jada Pinkett Smith, singer Erykah Badu, actress Cicely Tyson, “Selma” director Ava DuVernay, educator Nadia Lopez and Dr. Helene D. Gayle, president and CEO of CARE USA, a humanitarian organization. 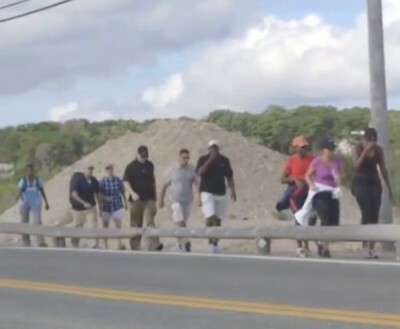 It was a public street and there is nothing illegal about it, but that didn’t stop the pesky Secret Service from trying to block a reporter’s recording of the First Lady Michelle Obama as she was out on Martha’s Vineyard for a power walk..
A quick thinking Beyonce fan snapped a selfie with Michelle Obama and her daughters in the background as they attended a Beyonce and Jay-Z concert in Chicago last night. 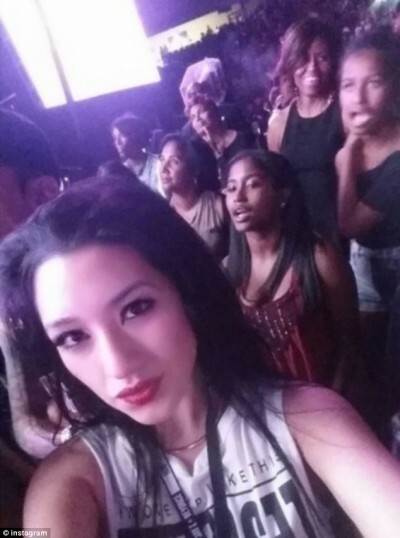 Michelle, who was in the city to hold a Democrat fundraiser, and 13-year-old Sasha were also at the concert with Sasha’s big sister, Malia, 16. MICHELLE O GMO? You should know of course that this story came from Dailyleak which is a satirical website. Maybe the DrudgeReport should have mentioned that..
Michelle Obama partnering with Big Food company to promote Monsanto’s “’healthy’ genetically modified food to children. First Lady DUNKS ON LeBron!!! The Miami Heat visited the White House recently to talk about how to eat right and stay fit. oh yeah, and to play some b-ball with the first lady..
WHAT? 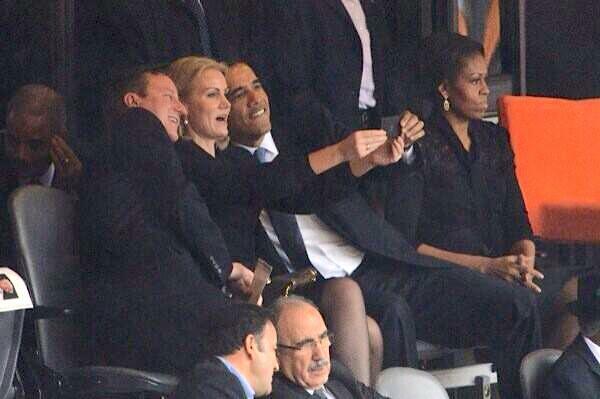 A “presidential selfie” featuring President Barack Obama, British Prime Minister David Cameron, and Denmark’s Prime Minister Helle Thorning-Schmidt snapped at Nelson Mandela’s memorial service! 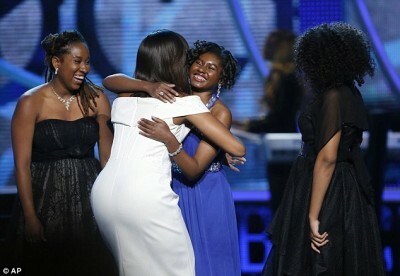 Check out Michelle! She looks pissed! Sunny White House dog. 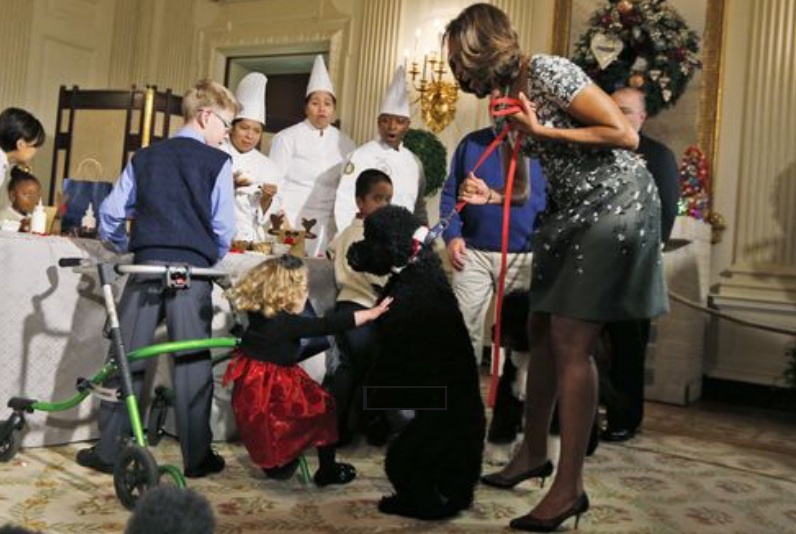 Newly acquired first dog Sunny had a little run-in with a toddler at a White House event..